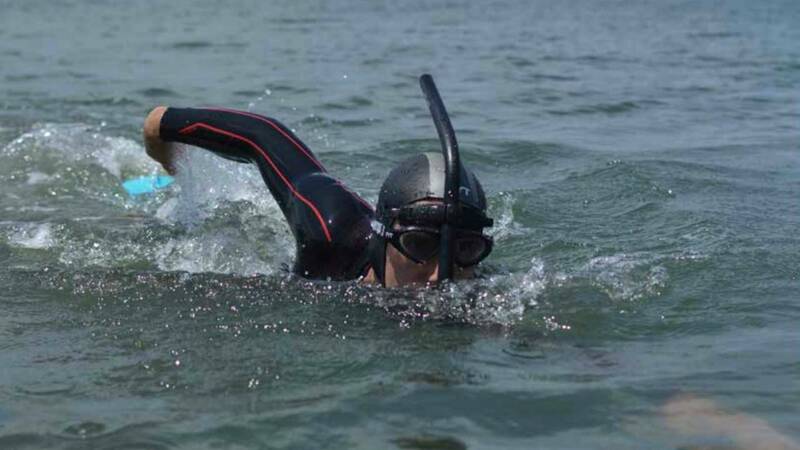 Distance swim record holder Ben Lecomtese will swim across the Pacific in May to raise awareness about plastic pollution and and to collect oceanographic data. TOKYO, Japan - The first man to swim across the Atlantic Ocean will now swim across the Pacific to collect science information. Ben Lecomte plans on swimming 5,530 miles from Tokyo to San Francisco on a trip expected to take an entire year. The 51-year-old French distance swimmer plans on swimming with the North Pacific Current, which flows right through white shark territory. Along the way Lecomte will have sensors attached to his body to measure the radioactivity of cesium in the water. The slow duration of the expedition will gather detailed physical oceanographical data and also record blue-green algae information. 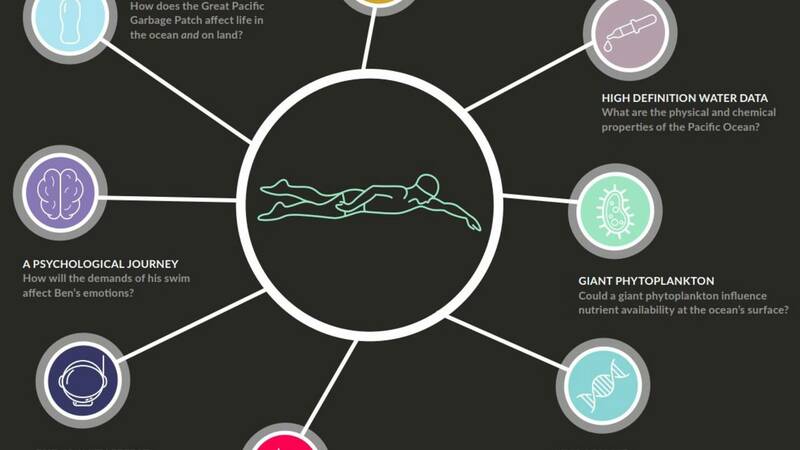 Ben Lecomte will collect various ocean and biological data while swimming. The weightless environment is also of interest to NASA who plans to monitor the effects on Lecomte's body. A trailing sailboat will provide a place to sleep at night while a small inflatable boat will provide emergency support during daily swims. About 1,000 miles of swim will pass through plastic trash stuck in a swirling gyre called the Pacific garbage patch. Plastics do not disintegrate in the ocean but break down into a slurry of microplastics. Some of the larger pieces will be tagged with GPS sensors on the swim to monitor the garbage patch function.